I thought it’d be fun to take a trip down memory lane with My Baba’s very own retro Christmas list. 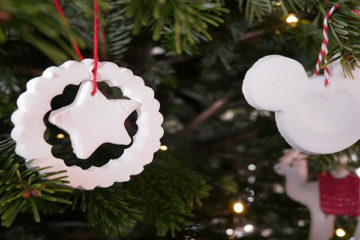 This top 50 includes the items most likely to feature on the Christmas lists of the children from the 1980’s. Anybody remember these?… Anybody feeling old? 1) This was my brother’s personal favourite. The 13″ giant walking Saturn Robot by Kamco. This noisy little fella could shoot missiles from just above his flashing red eyes, while his body projected an awesome light display (well, awesome for the 1980’s). 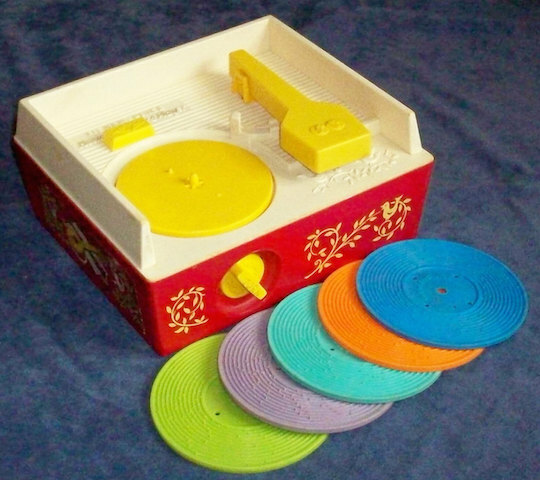 This was top of my bro’s Christmas list in the mid-80’s. 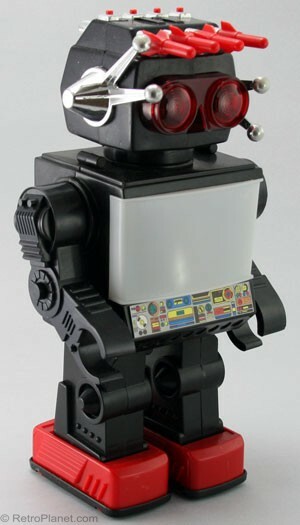 I remember having present envy when this bad boy robot strutted his stuff around the living room floor. 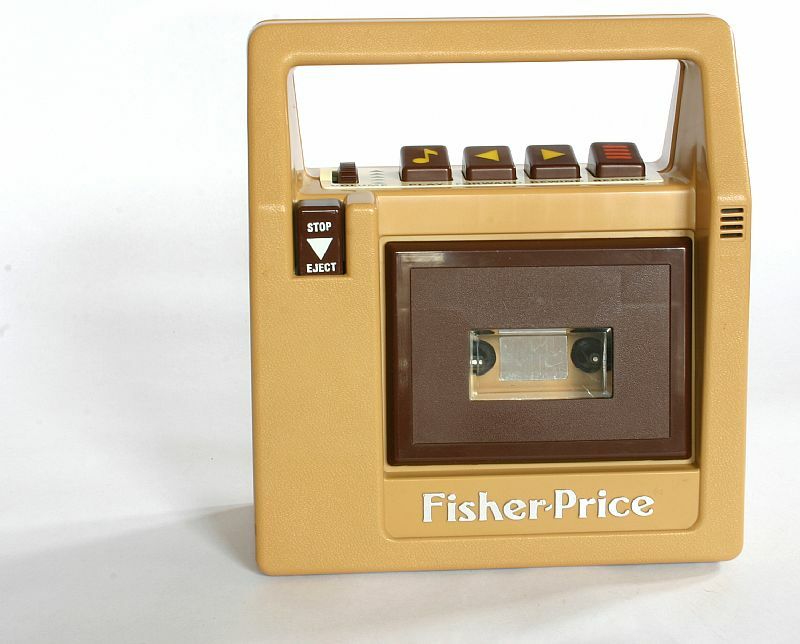 2) Who could forget this classic Fisher-Price Tape Recorder?! Everybody who was anybody had one of these. 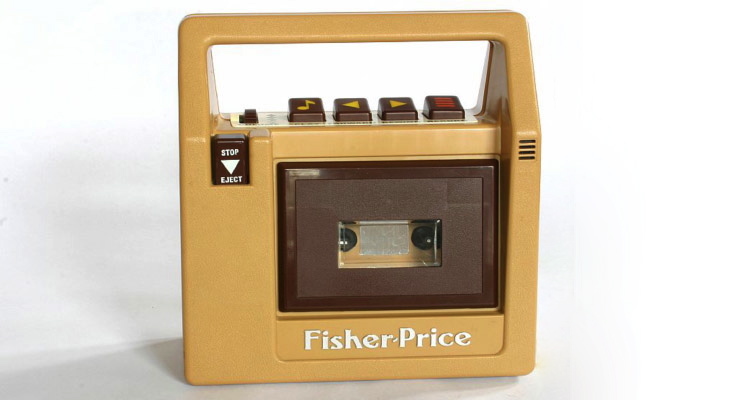 Perfectly portable to annoy every other member of the family on Christmas day… and Boxing Day, and all the others days of the decade that followed there after… Shakin’ Stevens was my tape of choice. I had great taste beyond my years. 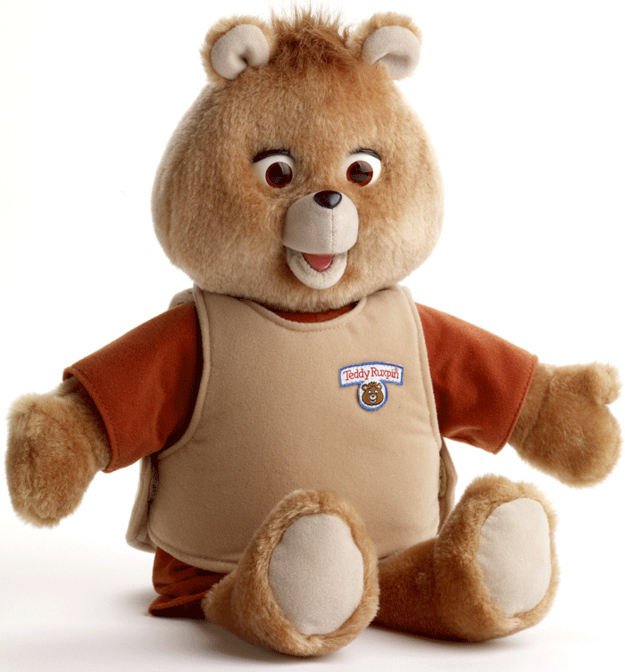 3) Teddy Ruxpin! The sad little bear that suffered from extensive spinal trauma after years of cassette tapes being crammed into his coccygeal vertebrae! Ah, but we all loved Teddy, the animatronic toy with the moving mouth and eyes that “read” the stories that accompanied the tapes. 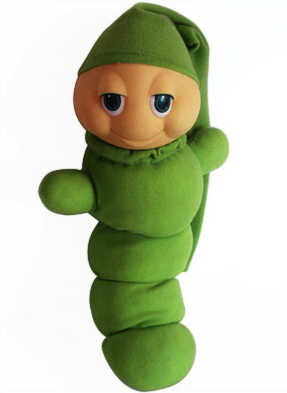 He was in fact, the best selling toy of 1985 and 1986, and a cartoon based on the characters soon followed. 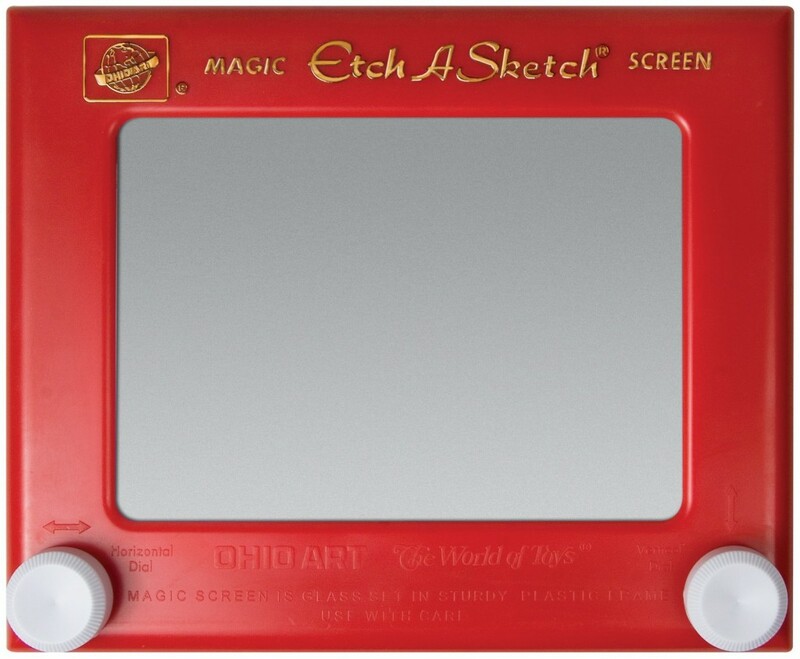 5) The “Magic” Etch A Sketch! Don’t ask me how this works… You just draw, and erase! And try really hard not to dent the screen with the pen. 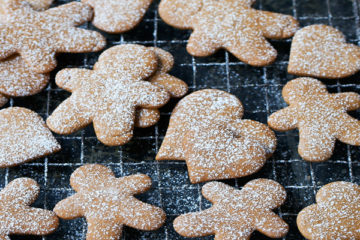 It seemed like complete magic at the time, but now we have iPads. 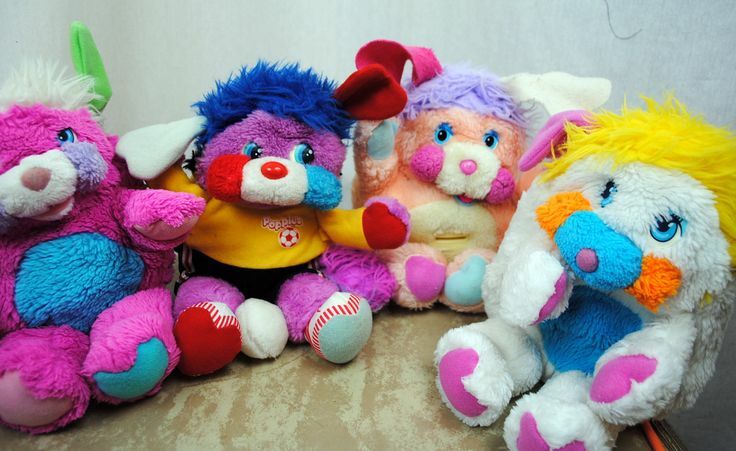 6) Who remembers this group of multi-coloured bears? 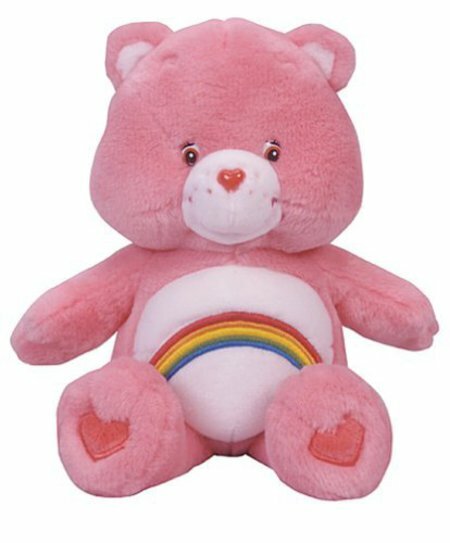 Each with a specialised insignia on their belly to represent their duty and personality, the Care Bears were originally created to feature on greetings cards, but soon hit the big time. 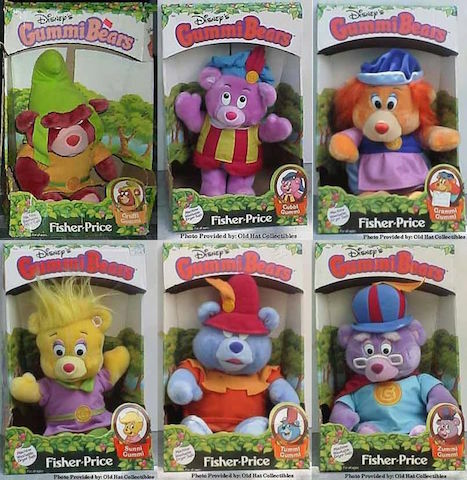 There were ten original Care Bears, they had their own TV series (which I used to get up super early on a Saturday morning to watch), and they went on to make three feature films. The bears have made numerous come-backs, and I’m pleased to say they’re currently out of hibernation, and stocked on shelves in toy shops all over the country. Welcome back! 7) Another collection of characters headed up by leader (and personal favourite) Rainbow Brite, was created initially for Hallmark Cards. 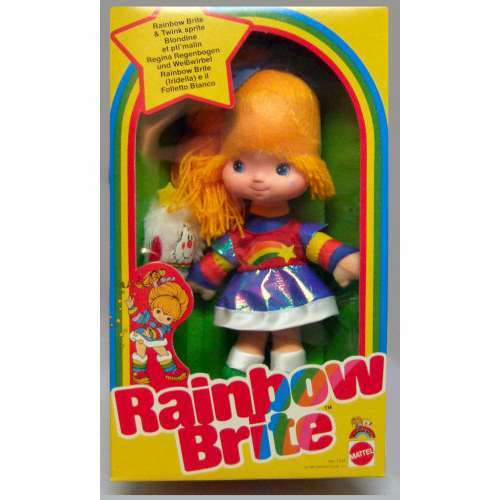 If it wasn’t for Rainbow Brite the world would be in darkness, doncha know? 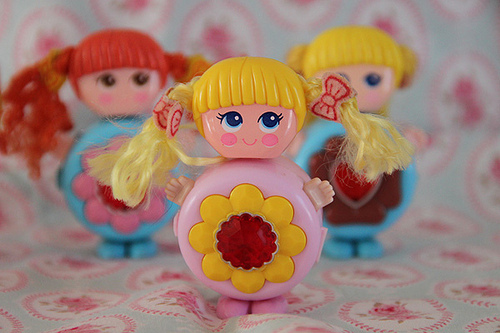 Rainbow Brite, formerly known as Wisp, found herself in a colourless land with a mission to find the Sphere of Light. Along the way she befriended some weird and wonderful characters to complete their quest to defeat the King of Shadows. Ah, such a complex story. I had the lunchbox and matching flask. 8) The Boglin seemed to appear out of nowhere onto toyshop shelves, as if put there eerily by themselves… They were rubbery hand puppets with glow-in-the-dark tails and moveable eyes. These creepy creatures were sold in brilliant little cages that instantly appealed – to the likes of me, at least, as I had one of these as a personal pet for at least six months. 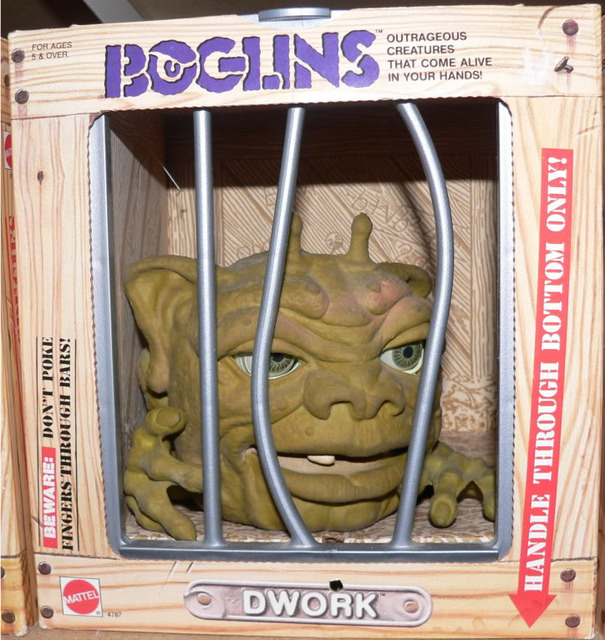 There were lots of different types of Boglin, but you can imagine my immense delight when I managed to source a photo of the exact one I had as a child. Here he is below, in all his glory. 9) Texas Instrument’s Speak & Spell. A truly legendary 80’s toy, with an impressive but slightly freaky speech synthesiser. 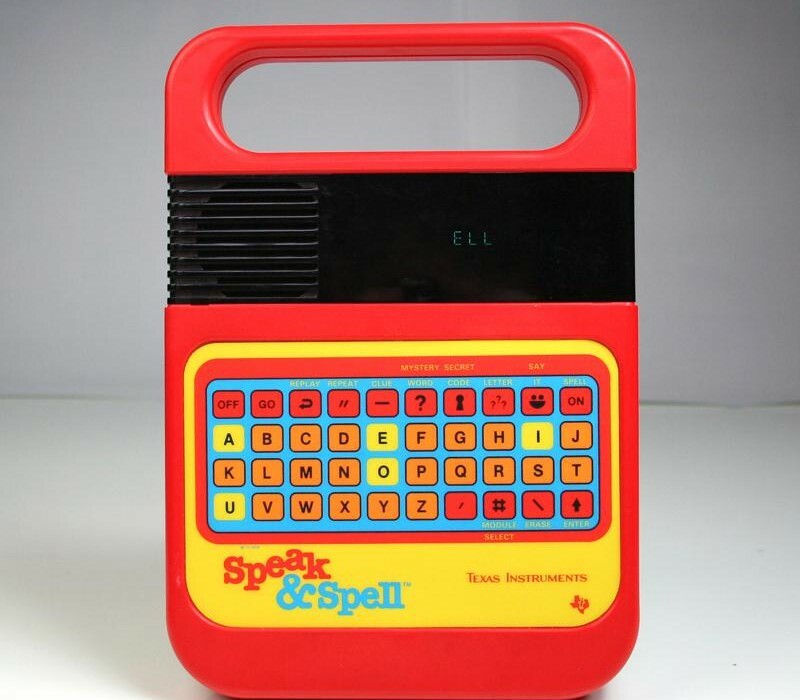 The Speak & Spell was in fact first introduced in 1978, making it one of the first ever electronic devices with visual display. 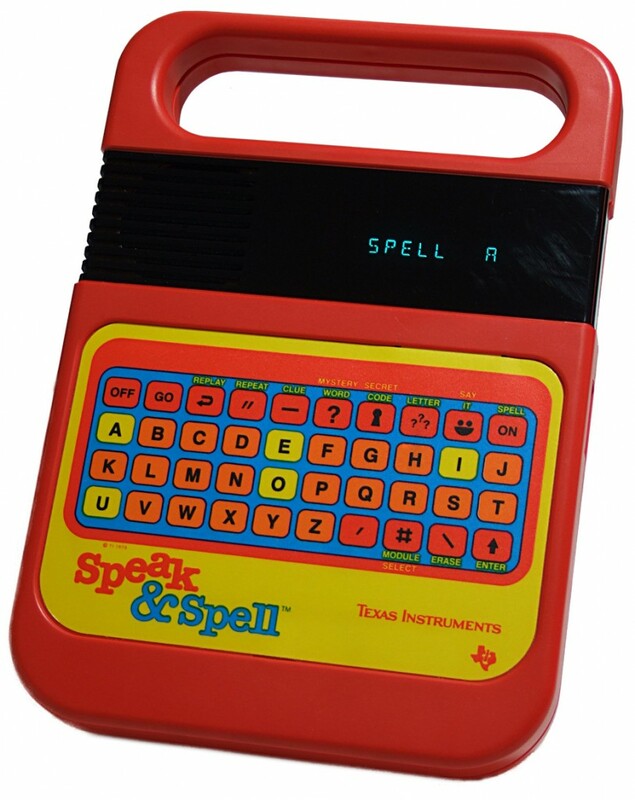 What the Speak & Spell taught me in life (besides how to spell many a complicated word, of course), was that great things really do come in little packages. In the Christmas of 1987 my 2 year old sister had unwrapped a HUGE present, which turned out to be the ELC Cosy Coupe Car, (which, incidentally is celebrating its 30th anniversary this year), while my brother had set to work ripping Christmas wrapping paper off M.A.S.K.’s Boulder Hill (for those of you that have forgotten, Boulder Hill was an ordinary looking gas station that transformed into the secret headquarters of the Mobile Armored Strike Kommand aka M.A.S.K = a big deal). 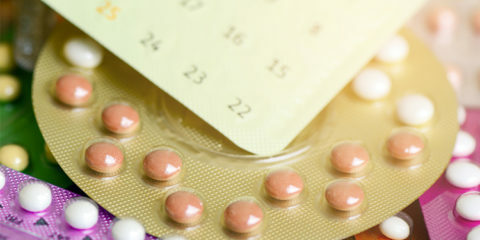 Both were sizeable presents, and I contemplated quite seriously at the time that surely the size of the present must equate to exactly how much my parents loved each of us (I know, so moving). Fast forward a few months, and there was me, still engrossed in my Speak & Spell, loooooong after my brother and sister had discarded their toys. I can now also spell pretty much any word going (don’t ruin my moment by checking for typos). 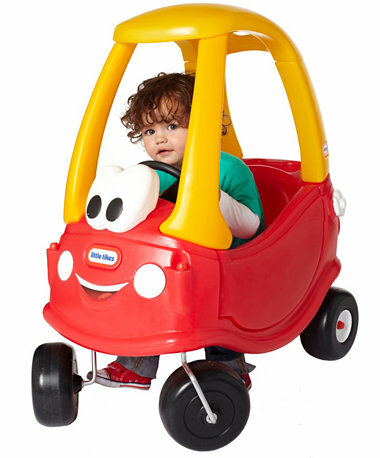 10) The ELC Cosy Coupe Car! 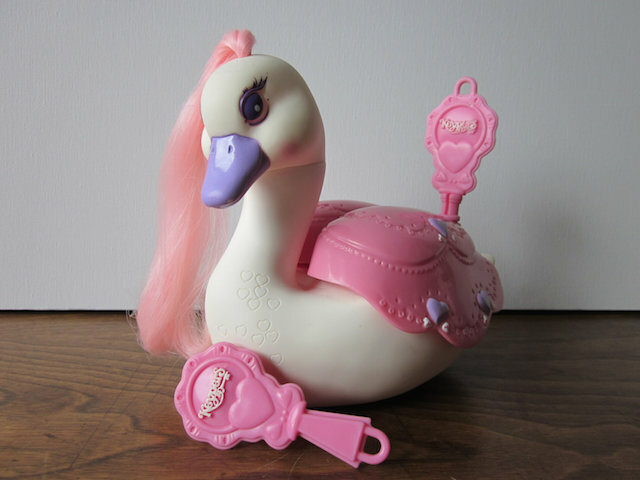 As previously mentioned, this iconic toy is celebrating its 30th anniversary this year, which helps greatly in reminding me of my own mortality. 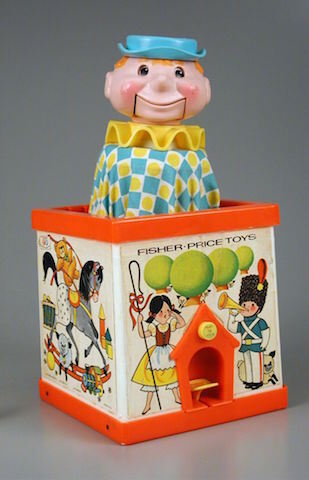 A brilliant toy that has stood the test of time. Happy birthday Cosy Coupe Car! 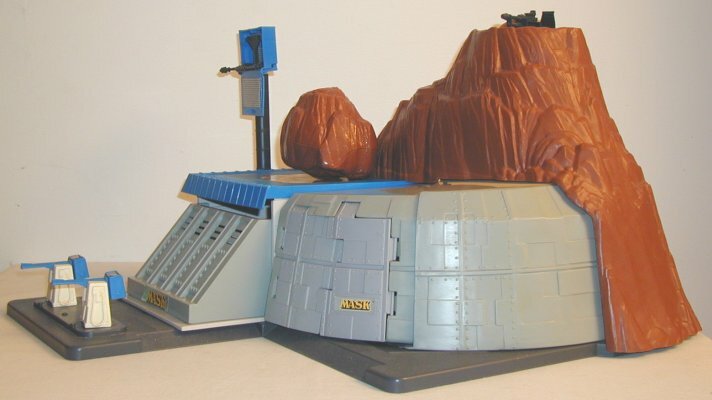 11) M.A.S.K.’s Boulder Hill was a huge hit with boys in the mid 80’s. Based on the US animated television series of crime-fighting and terrorism, this innocent looking gas station transformed into a the secret headquarters of M.A.S.K. My brother adored it for all of two weeks, at least. Galoob’s miniature cars or Micro Machines came in at just 1.5 inches long in an assortment of colours and models. Remember the old TV ad, with that American guy that spoke a million miles a minute? Hectic! 16) My Child Dolls were beautiful. The girl and boy dolls were designed by Mattel in 1985 to compete with The Cabbage Patch Kids. In my mind, those Cabbages don’t have a patch on these guys! 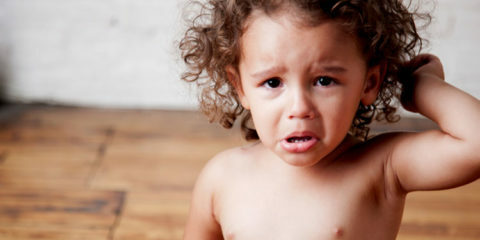 The My Child Doll was made from a soft velour fleece, and each had a cute button nose, but the similarities stopped there. There were so many different varieties, you’d never know which one to choose. They each come with a little booklet and certificate, but were sadly only made from 1986 – 1988. 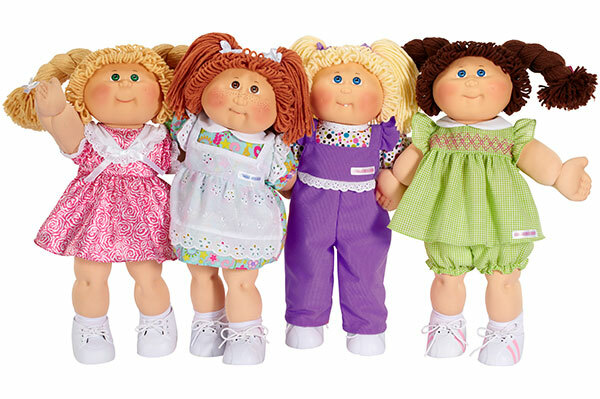 17) Cabbage Patch Kids. 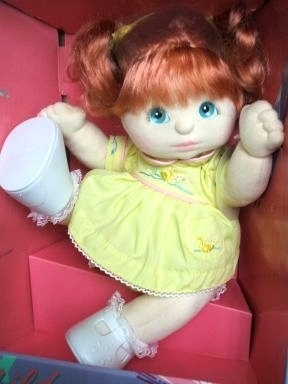 Everybody remembers these dolls. 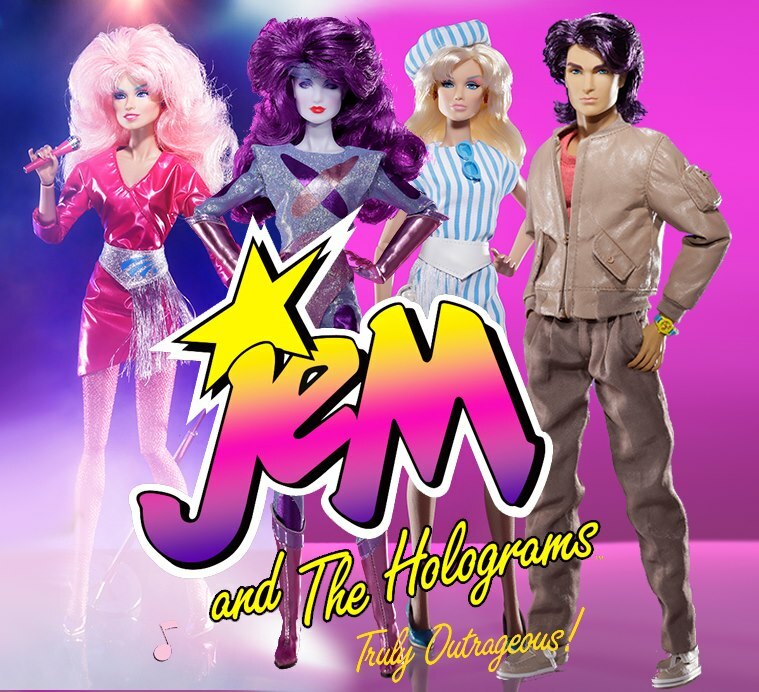 Ugly, yet hugely sought after, these dolls were one of the hottest toys of the 80’s. Their story began in 1978 when Xavier Roberts a young artist from the small town of Cleveland, Georgia brought to life his hand-stitched soft sculpture artworks known then as Little People. 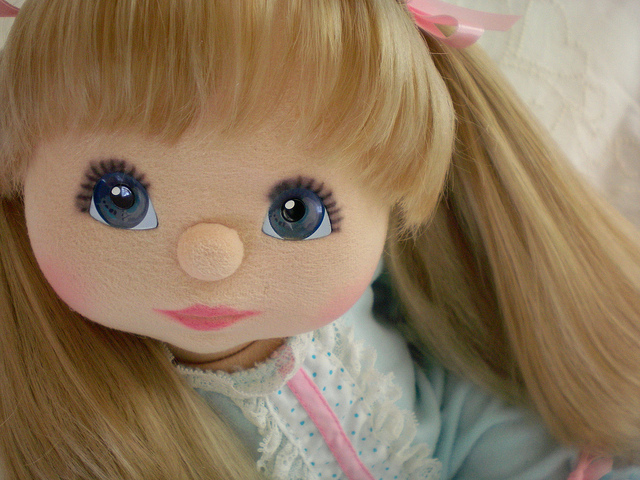 The Cabbage Patch Kids craze is still going strong today. 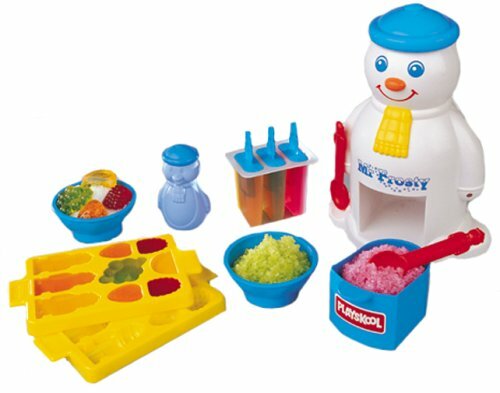 18) I am holding this toy solely responsible for the reason that to this day, I am useless in the kitchen. 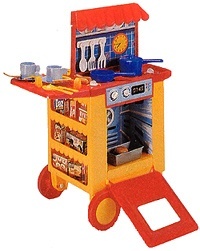 Bluebell’s A La Carte Kitchen, with the sink on one side, and a cooker on the other was the Rolls Royce of toys that year. Boo! I never had one! I missed the chance to start early in honing my domestic skills, and thanks to the absence of this toy, I’ve never really got to grips with a frying pan. 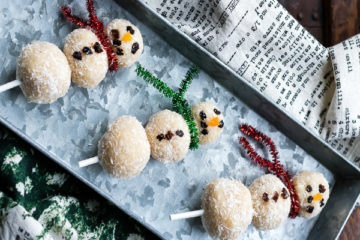 I’ll never forget that advert, you know the one – it must have terrified parents up and down the country: ‘Wake up Daddy, breakfast’s ready!’ said the girl in the ridiculously frilly silk dress at her father’s bedside with a plate of Swiss Roll and Baked Beans – that old reliable food combo. 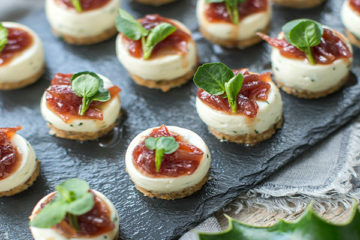 I remember my friend Joanna Potts had the A La Carte Kitchen. But not me. 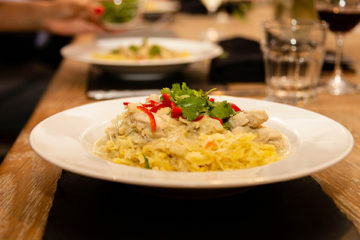 I still feel incredibly hard done by, and I’m guessing so does my boyfriend, as he always has to cook. 19) What little girl doesn’t dream of having their own horse? 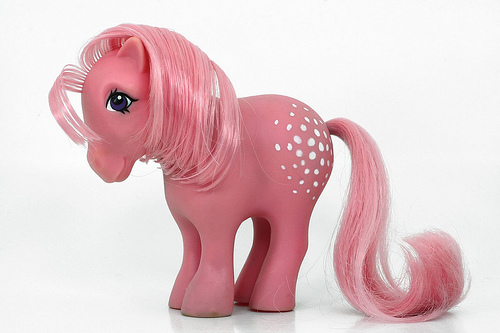 My Little Pony – developed by Hasbro, first came on the scene way back when in 1983. There were six original ponies each with its own name and corresponding symbol on their hips. The popular range soon expanded to pony carrying cases and stables, castles and palaces where the ponies would live. Obviously! A new series released in 2010 propelled the ponies back into the spotlight, and they’re still going strong to this day. 20) Didn’t we all have a pair of these? 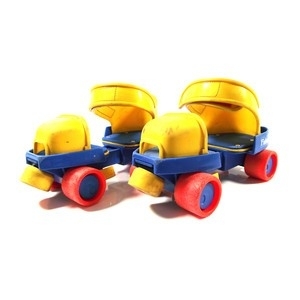 Fisher-Price Rollers Skates. The ugliest adjustable skates you’ll ever see in your life, but oh my, how much fun did you have in them? 21) The Wuzzles! Remember the cartoon? Just about… Their names? Not so much. 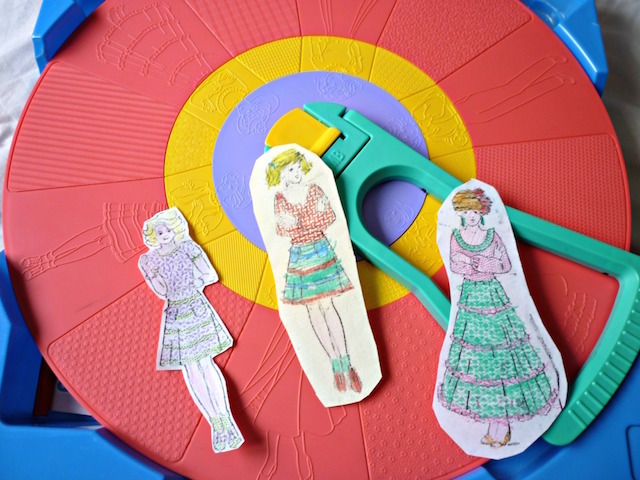 22) For all those budding fashion designers out there… Introducing, The Fashion Wheel! 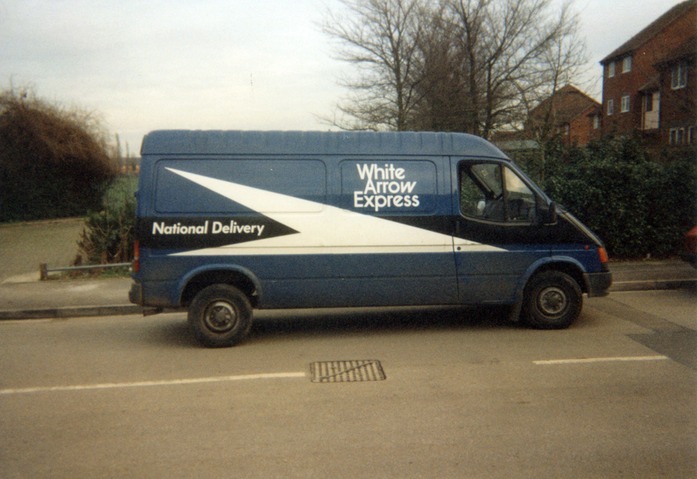 I had one of these… Sadly my career in textiles didn’t progress any further. 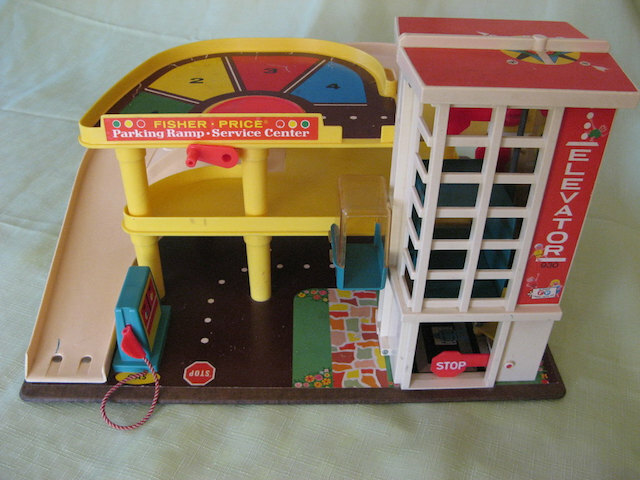 23) The Fisher Price Garage for the motor heads in the family. 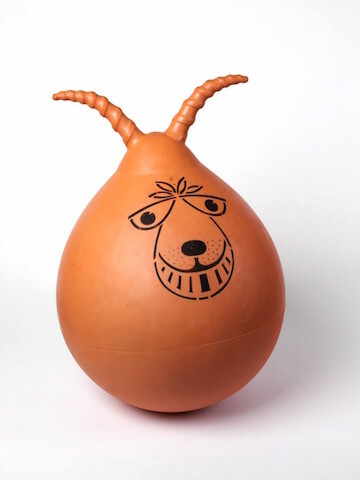 24) The Space Hopper! 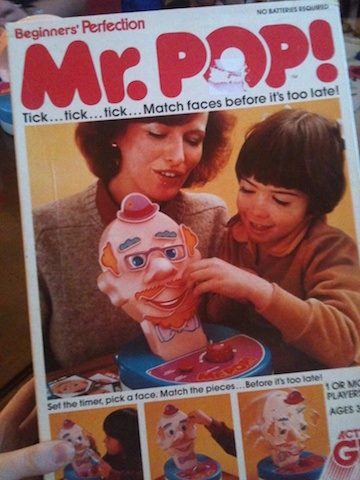 The toy that always looked a lot more fun that it actually was. 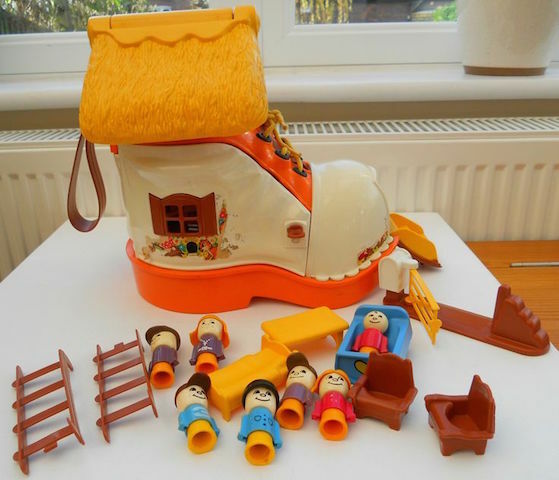 25) There was an old lady who lived in the Match Box Play Boot. 26) Sindy! 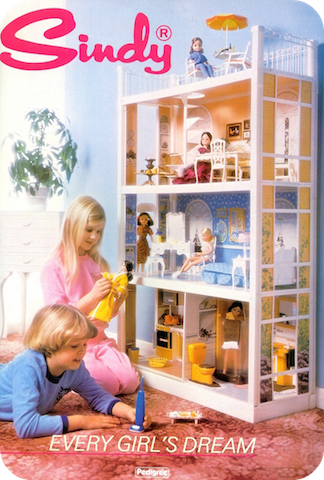 The Sindy furniture… The Sindy Dolls… The Sindy Dolls’ House! Ahh…. 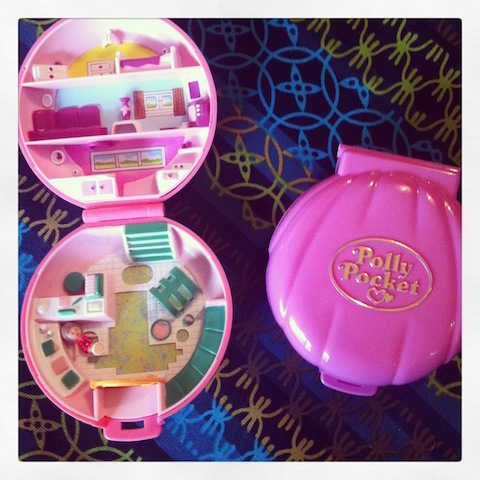 27) Polly Pocket… The toy you desperately wanted, received, and never played with. 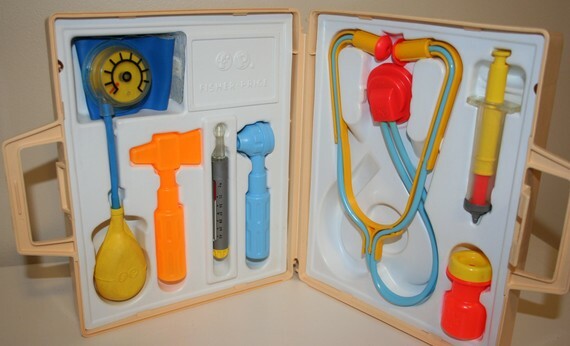 29) Surely another Fisher Price item… The Medical Kit! So your dolls and teddies never flatlined. 30) The Activity Centre! 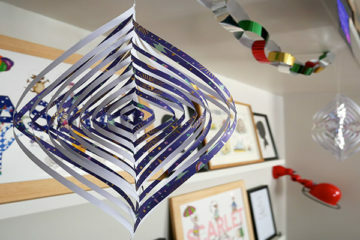 A boring Christmas gift for the younger sister. 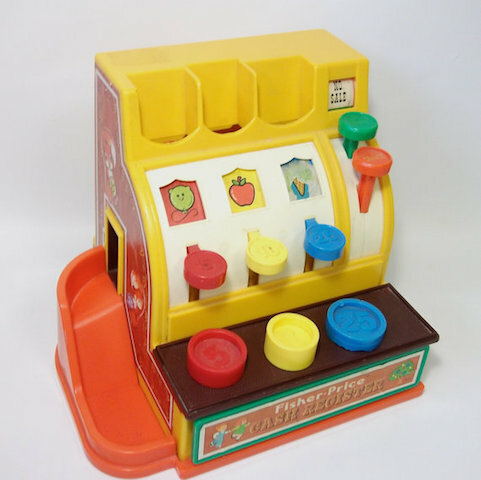 31) The darling old Cash Register. 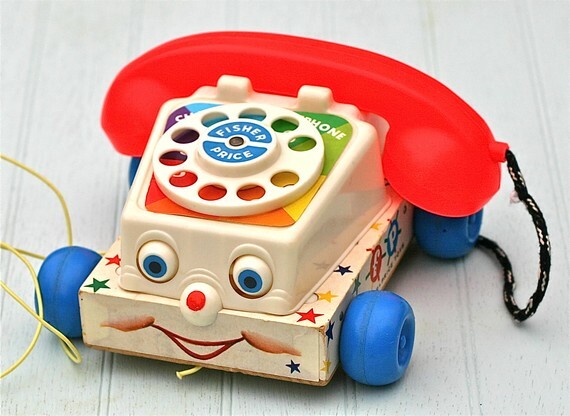 32) The Chatter Phone -my parents still have this for the grandkids to play with! 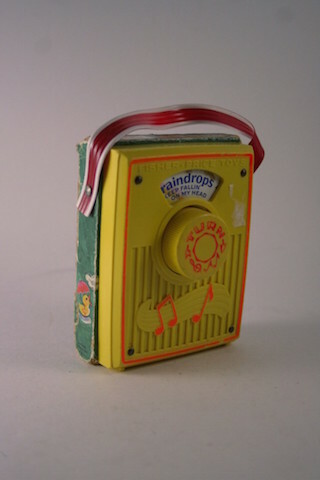 33) Pocket Radio! Before the days of playing your iPhone on public transport. 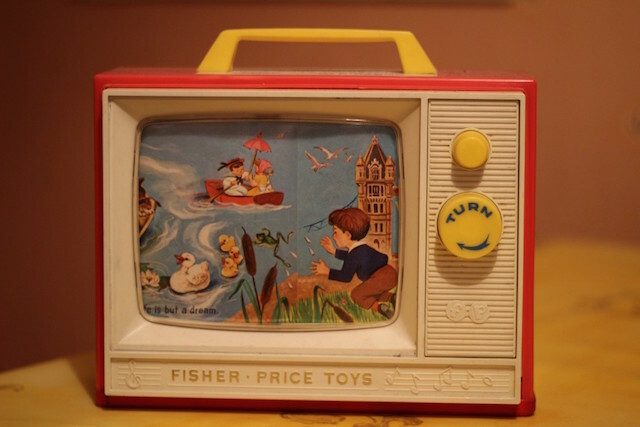 34) The very essential Fisher Price TV. A must. 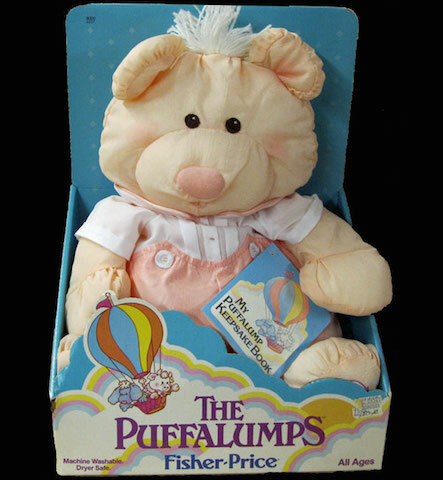 35) The Puffalump! A weird shaped deflated soft toy filled with a not enough air, topped off with some wool. 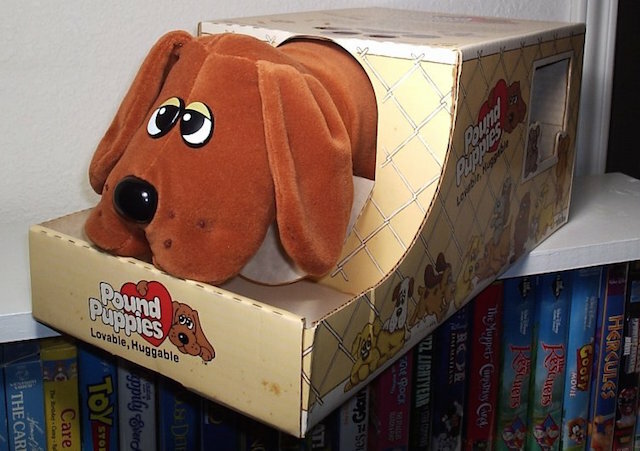 36) The Pound Puppy was the next best thing for those kids (like me) that weren’t allowed a dog. 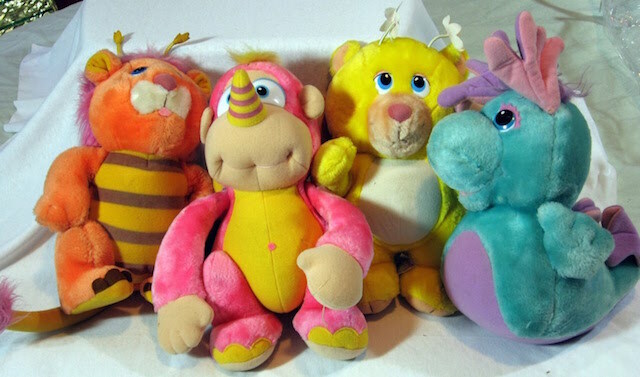 38) Toys I vaguely remember… Popples… Anybody? Anyone? 39) Board games have definitely dumbed down since Mr Pop. Pie Face is so basic. 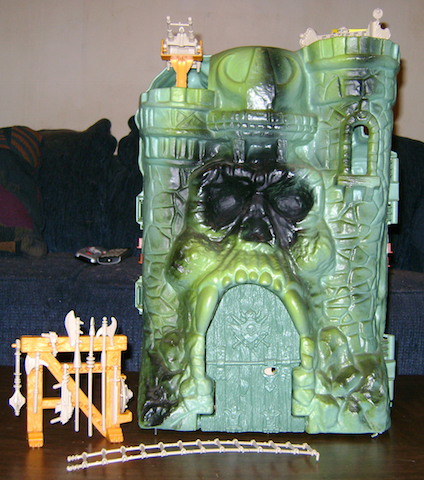 40) By the Power of Grayskull… Recognise this castle? 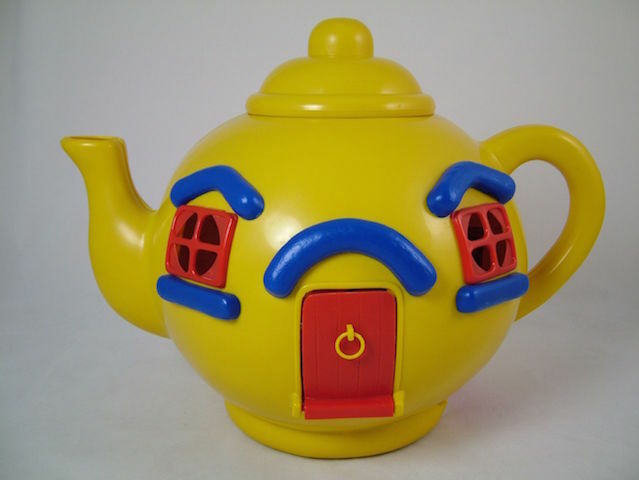 41) The Big Yellow Tea Pot… Just because we all love tea. 42) This was my ultimate favourite, most loved and cherished gift. 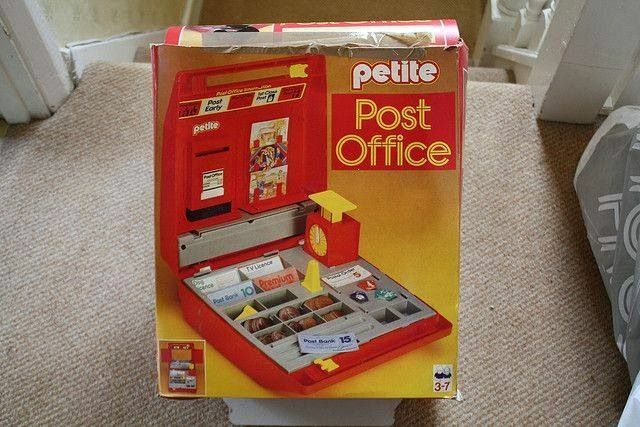 The Petite Post Office. Boom! 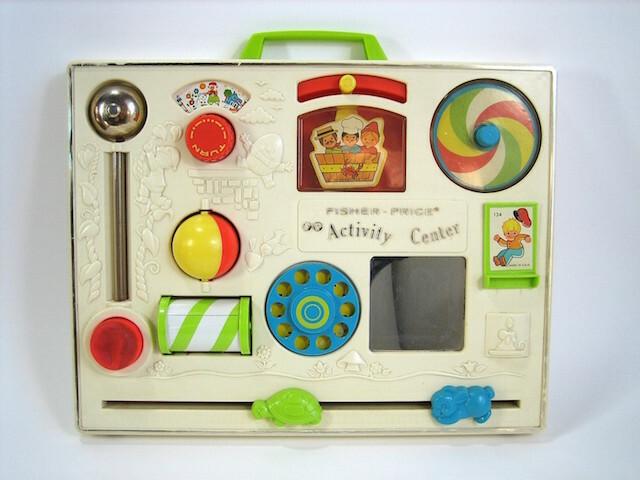 I loved this toy. 43) Thundercats are on the loose, Thundercats are loose! 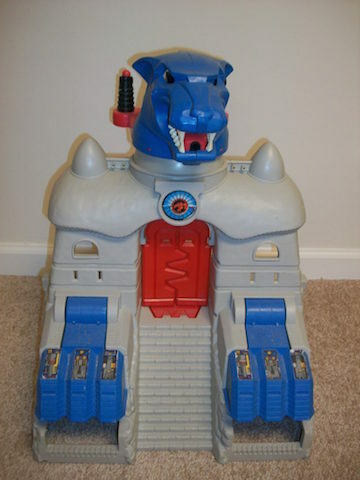 The Thundercats Lair. Enter… if you dare! 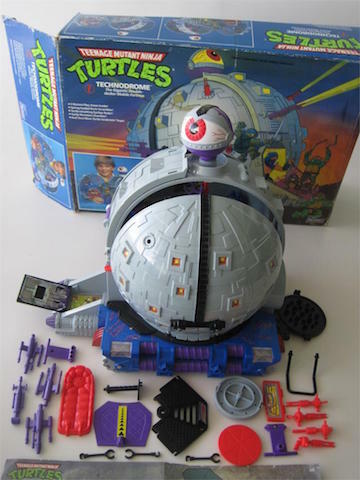 44) The Turtles Technodrome… Boys’ toy! 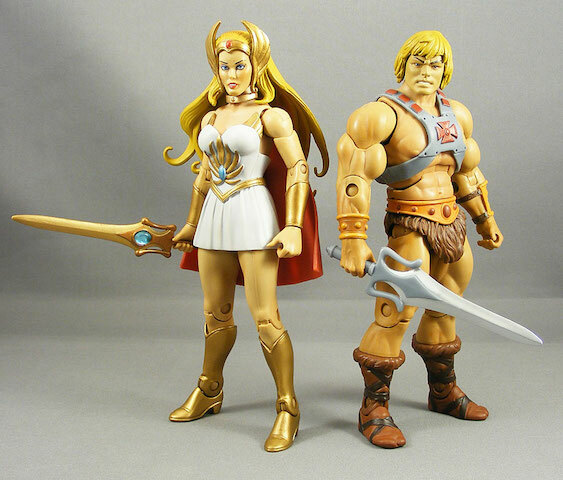 45) She-Ra! Oh yeah! This was were girl power for me began. Oh, and He-Man. 47) Keypers… Ah yes. Another one for the girlie girls. 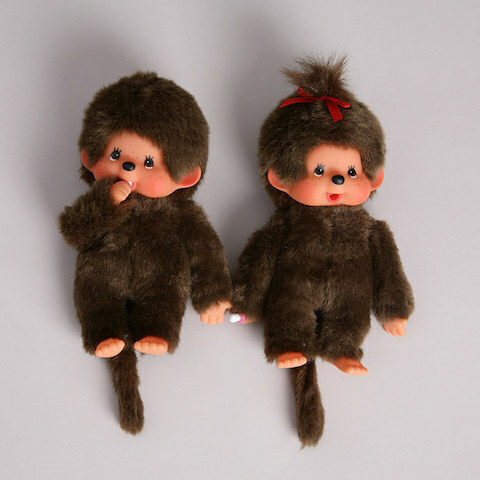 48) Monchichi – to me this is more 70’s, but I think they made a comeback in the 80’s… Anyone have one of theses? 49) Poor Jack-in-the-Box, always giving everybody the creeps. 50) All delivered from the catalogue. Merry 80’s Christmas!